Today sees the release of the promotional stills for the next episode, Hide. This was the first episode to be filmed with Jenna-Louise Colman back in June last year, and at the time we got the first official glimpse of The Doctor’s new costume. Now the new stills are have a much better look at this combination. He is wearing the brown bow tie he first wore in The Rings Of Akhaten. The shirt is new - and is in a blueish grey stripe. 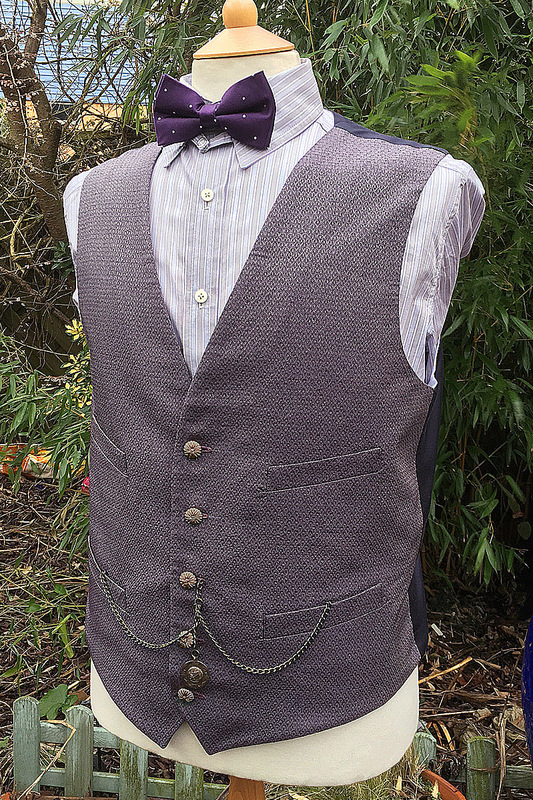 The now favourite grey waistcoat is on show again, and like The Rings Of Akhaten, is without the double fob chain. Same old G-Star RAW black jeans again, with the new purple brogue boots. As an aside I’m not too impressed with this photo. It has been crudely cut out and I swear part of his right boot is missing - if it isn’t, it looks bloody odd! 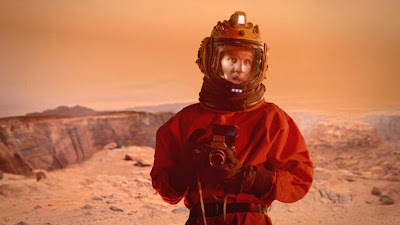 Also released with this image is a picture of Matt in the full Tenth Doctor’s pumpkin orange space suit, though from what I can see the SB6 patches are not present and there are no scars from their removal. It appears to be a recreated costume rather than a re-ue of an existing, unless anyone can think of where this version was seen before. Hey, steve, long-time reader, first time... question-posing individual. I've been wondering this for a long time, but always expected i would eventually figure it out on my own, but haven't. Maybe it's stupid, or I'm missing something, but what is that thing that so often appears to be portruding from the doctor's right trouser leg? It can't be seen in this picture here, but in the photo of him leaning up against the motorcycle, as well as the photo of him in his shirtsleeves and mismatching braces and bow tie from "A Town Called Mercy," it can be seen very clearly. Is it just his sock? because, if so, it's strangely puffy. I'm not sure if it's something you folks across the pond do with your trousers that I'm unaware of, but it's simply been bugging me for quite some time. I'd guess that they're thermos/long underwear. A Town Called Mercy was filmed in January, so it's not quite as warm as it looks. If you look at some of the early Behind The Scenes videos you can see Matt showing his off. What I will say is that this is a TV show. 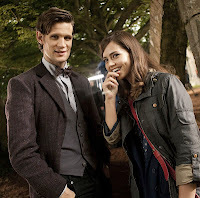 This was the first episode to be shot for series 7 part 2, so I wonder if the purple boots weren't ready for filming. Since they are rarely on screen, they probably carried on with the black until the purple were available. As an aside, they reissued a still from Cold War as part of the Hide set, with the black boots. I didn't include it here as I considered it erroneous - maybe it's right after all! After watching Hide yesterday, I do think it is the same space suit, where the SB6 round patch is located there was a strange circular "dirt splotch" weathered there. hey, just wanna know where I can find this long purple coat online ebay? and also the vest. 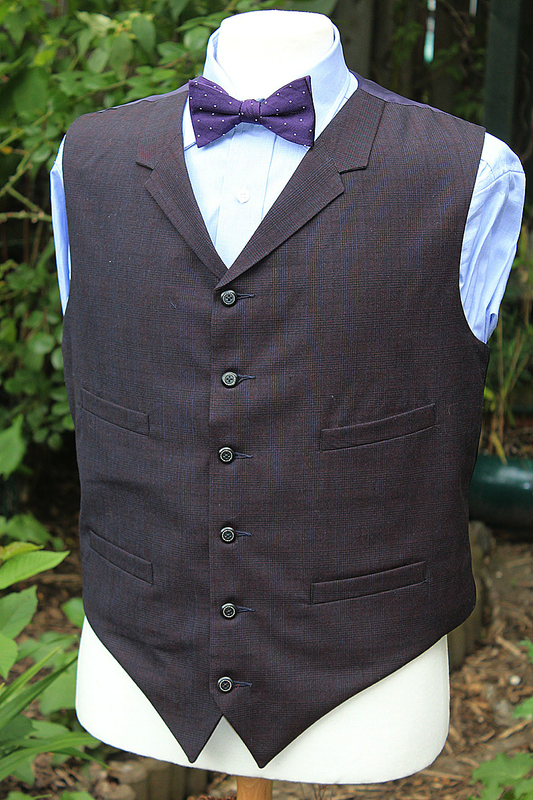 or waistcoat. or whatever u call it. 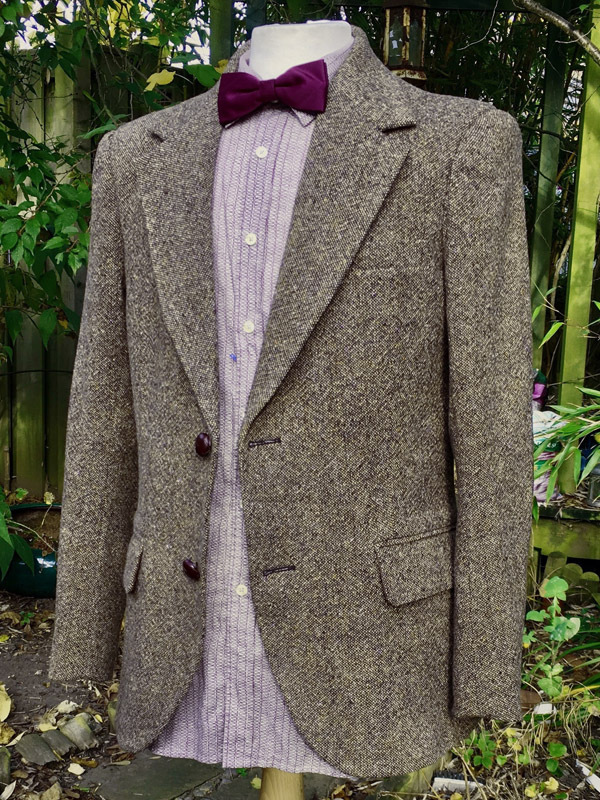 Some people have found coats that with some minor adaptions have worked out pretty well. Hi, I would also like to know this. 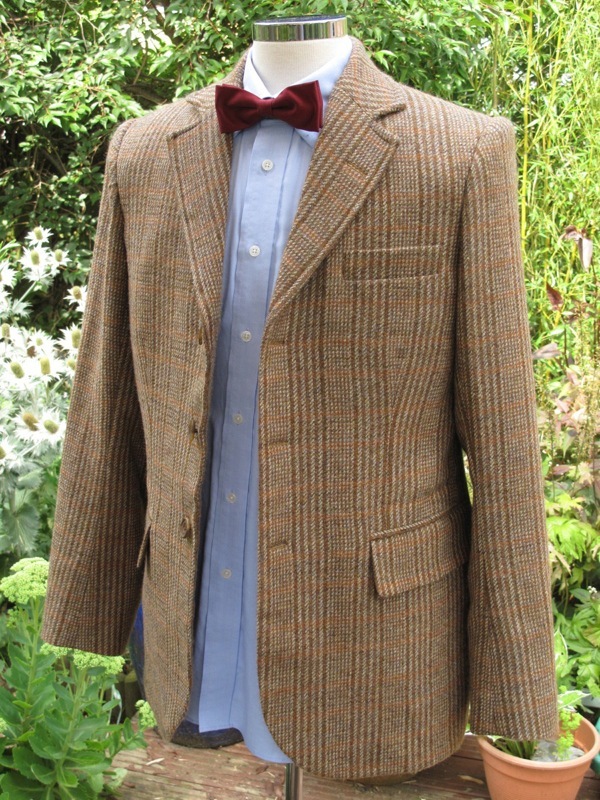 and what kind of jacket can be converted to match both old and new? Does Dr wear a clip on bow or a self tie? what style are his new boots? and also where could I find the suit worn ať Amys wedding? Despiratly please.